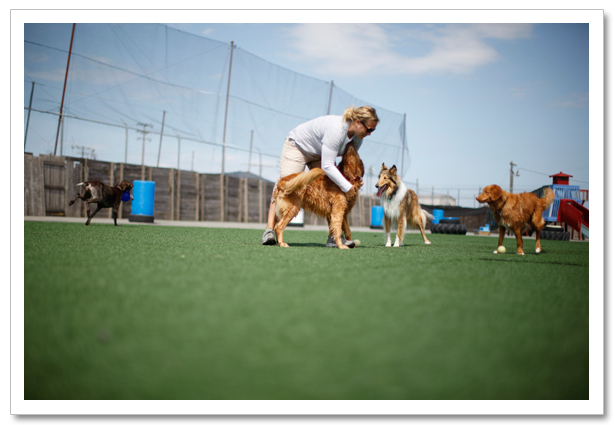 Staffed by certified, well-trained experts, Dog Walker Ranch is a fenced, private, 28,000-square-foot play Ranch, that enables dogs to play and socialize, in a safe controlled environment, on 10,000 square feet of synthetic turf designed expressly for dogs. In addition to many canine toys and fun play structures, the Ranch features a 16,000-gallon, 33’x16’x4’ above-ground pool with a platform built six inches under water level and a ramp that allows dogs to walk comfortably into the water. 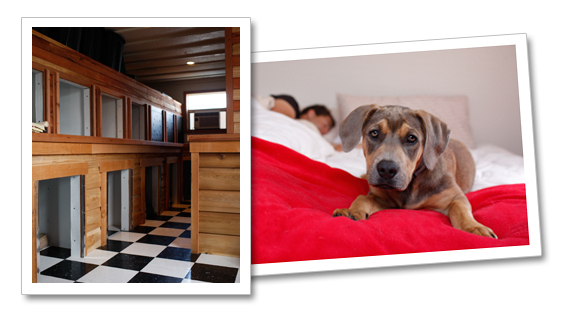 Our dogs sleep inside at night in a temperature controlled room, in their very own custom built dog den. We have dens large enough to accommodate multiple dog families. We also offer the option for your dog to sleep out with us. 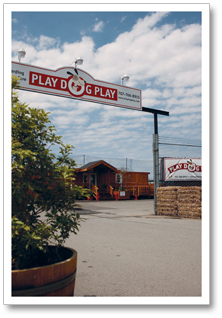 Your dog will always feel at ease in our home environment with a dog lover that sleeps on site. The Dog Bus is a unique, panel van outfitted with rows of individual crates for safe dog transportation. You have probably seen the Dog Bus around town, wave when you do! 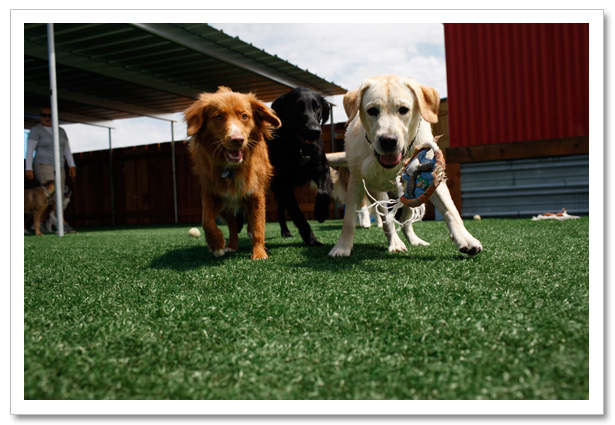 Our dogumentation process is the way Play Dog Play assures a happy, harmonious, well-socialized dog population. This evaluation process is done by appointment only and takes about 30 minuets to fill out paper work and assess what group your dog would play best with.